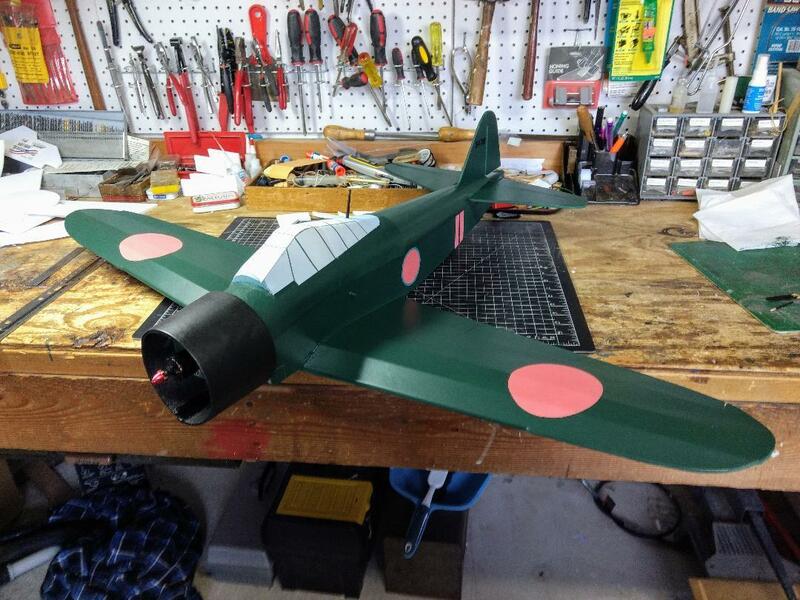 Finished up a Zero from local fiends plans, Ready for it's maiden flight and then take on some of those Corsairs! I like it! The Zero is one of my all time favorite warbirds!